"All three individuals died as a result of the traumatic injuries due to the blast," a coroner said. The three people who died in a car explosion in Allentown, Pennsylvania, over the weekend were identified by authorities Monday and included a toddler and his father. The dead were identified as Jonathan Schmoyer, just 2 years old, his father Jacob Schmoyer, 26, and David Halman, 66, Lehigh County Coroner Scott Grim said at a news conference Monday afternoon. "All three individuals died as a result of the traumatic injuries due to the blast," he said. Halman was a friend of Schmoyer, according to Don Robinson, the special agent in charge at the Bureau of Alcohol, Tobacco, Firearms and Explosives’ Philadelphia field division. Authorities were "confident" the two adults knew each other, he said, dispelling rumors that a passerby was among those killed. "We're still investigating and looking into the circumstances of that meeting but we do know that those two subjects knew each other and actually were friends," he said. Robinson would not discuss a motive or if the explosion was accidental nor did they say how the explosion occurred. Authorities had previously said the "perpetrator" of the explosion was probably killed in the incident. He added he could not yet say whether all three people were in the car when the explosion occurred on Saturday night. Grim said the manner of death will be ruled upon based on the findings of the investigation. Robinson reiterated that the explosion was an "isolated incident." 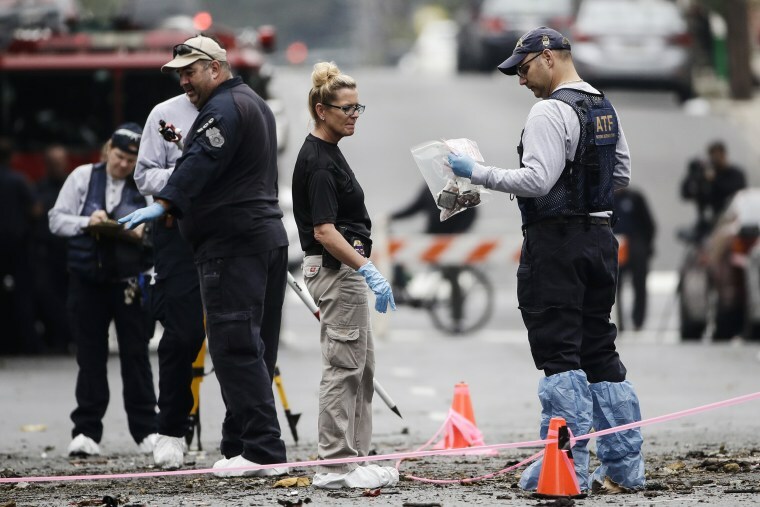 He added that the scene of the blast was still being processed because of its size and three vehicles were removed from the area for the investigation. Allentown resident Kimberly Gervasi said she was watching television at home when she heard the initial explosion, which was outside her front window — and next to her own parked car. Gervasi said she went outside and heard two initial booms and saw a dead body on the floor. "It completely looked like a war zone," she said. "It was just awful." Gervasi said she has not been allowed to return to her home yet because of her investigation and had to leave with the clothes on their back. "We're grateful that the family's safe, my dog is safe," she said, adding. "I'm just grateful for all that and all we can do is pick up the pieces and start over."